Subject: Sky scenes focusing on the use of colour with two very different techniques. 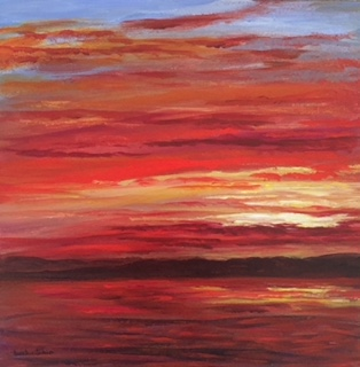 Paint along with instructor Barb Ritchie to create two scenes: a Dramatic, Fiery Sunset and a Dreamy Sunrise. Each step will be demonstrated as the paintings develop. Barb Ritchie loves painting almost any type of image especially in a plein air setting. She particularly enjoys sharing painting time with others interested in learning new skills.